Awesome came early this year, as Stone released the 2012 edition of its Imperial Russian Stout a few months earlier than last year. It's currently on tap at Jones and other fine establishments, as well as available on bottle. So really, you're probably not somebody we want to associate with if you're not planning on sampling this soon. This year's edition is not surprisingly similar to the 2011. Similar, but not identical, and possibly even less similar than what I had expected. Up front everything seems securely familiar: The chocolate and vanilla are right there on the nose, and the malts are as present as they should be. It's the type of smell you want to be friends with and have a beer with. Sip, and you'll start noticing some differences from last year. Oh, the usual suspects are there, but... What's that? Anise? Apparently Stone has snuck in some hints of my favorite Belgo Anise, and the addition is welcomed. Flavor wise I'd put this between the 2011 and the Belgo Anise, though certainly with more emphasis on the former. Where the 2012 slightly disappoints is on the mouthfeel. This might improve after some aging, but this feels surprisingly thin compared to the 2011. It's not that the mouthfeel pulls down my overall impression that much, but when you encounter greatness, you just don't want to feel even vaguely disappointed. And I do feel vaguely disappointed, at least right now. I'll be curious to see what some aging does, and by all means, this is a great beer, it just has a small asterisk next to it. 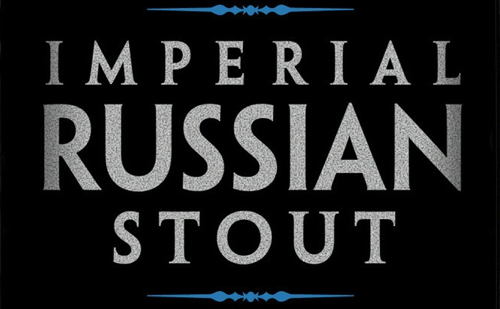 Vote for Stone Imperial Russian Stout 2012: It’s your civic duty!